Octopus agave is a medium to large accent plant, growing to 4 feet high by 6 feet wide. 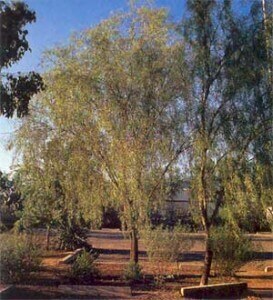 The leaves are medium green, long and narrow, and deeply channeled. The leaves undulate and twist, showing why this plant is called octopus agave. The leaf margins have fine, soft serrations and a relatively soft terminal spine. 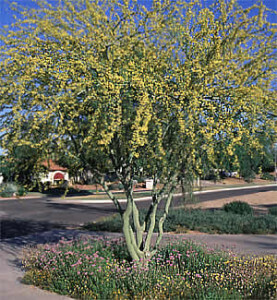 It blooms only once, sending up a 15 to 20 foot tall spike of golden yellow flowers. The flowers are followed by seed capsules and bulbils (baby plants). As with all other agave species, octopus agave will die after flowering. 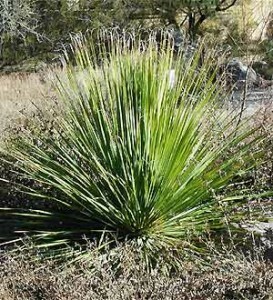 Octopus agave is quite drought-tolerant once established, and it can grow in low desert regions of Southern Arizona without supplemental irrigation. 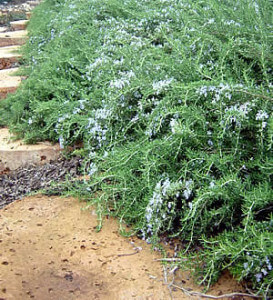 It is tolerant of most soil types, from heavy clays to sandy soils. Just remember to adjust the watering according to the soil type. Octopus agave is fast growing, sometimes flowering in as little as four years after planting. 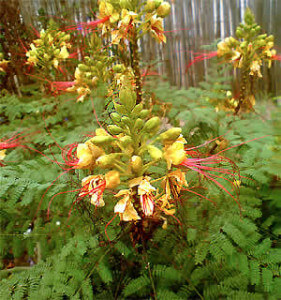 It grows best in full sun or light shade. Very little maintenance is required, until octopus agave flowers and sets bulbils.